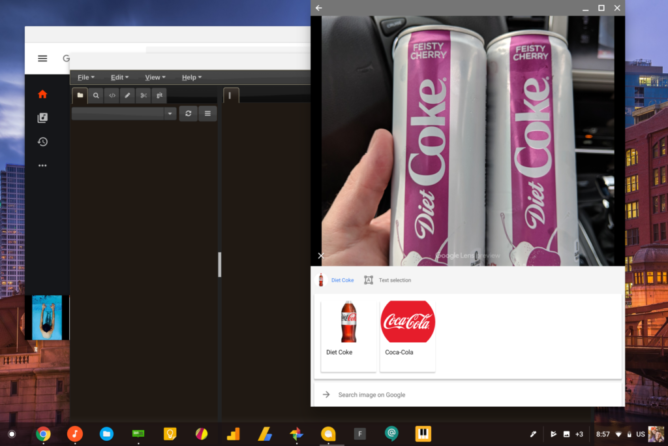 First, as discovered by Chrome Unboxed, you can download the Google Photos Android app on any Chromebook and use Lens inside it. 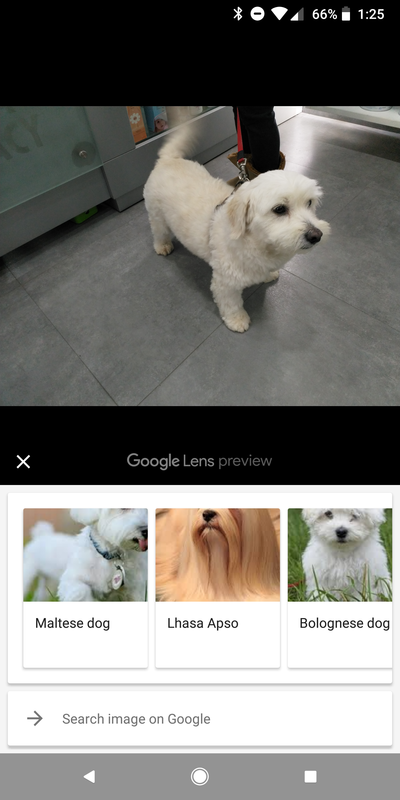 It's a simple solution to not having a Pixelbook and one that should allow you to discover things inside your photos without having to reach for your phone first. 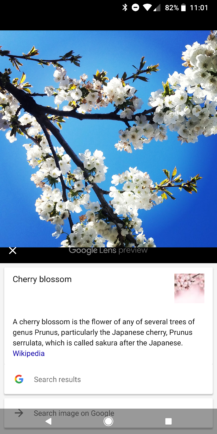 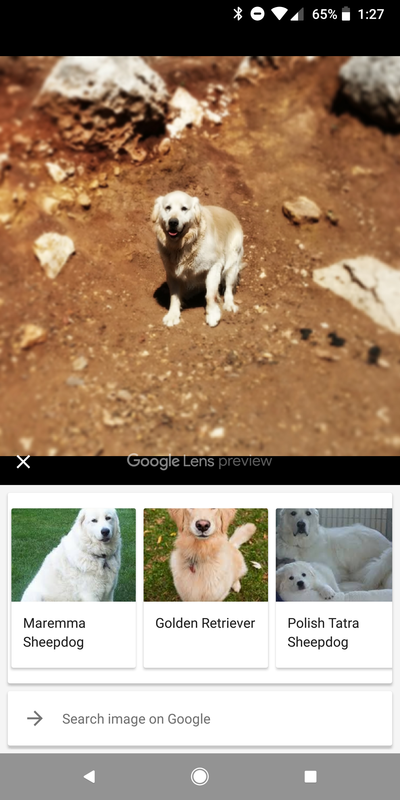 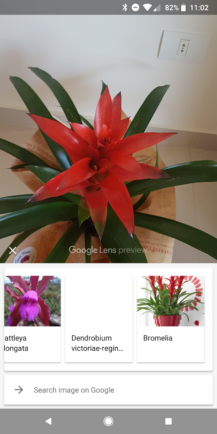 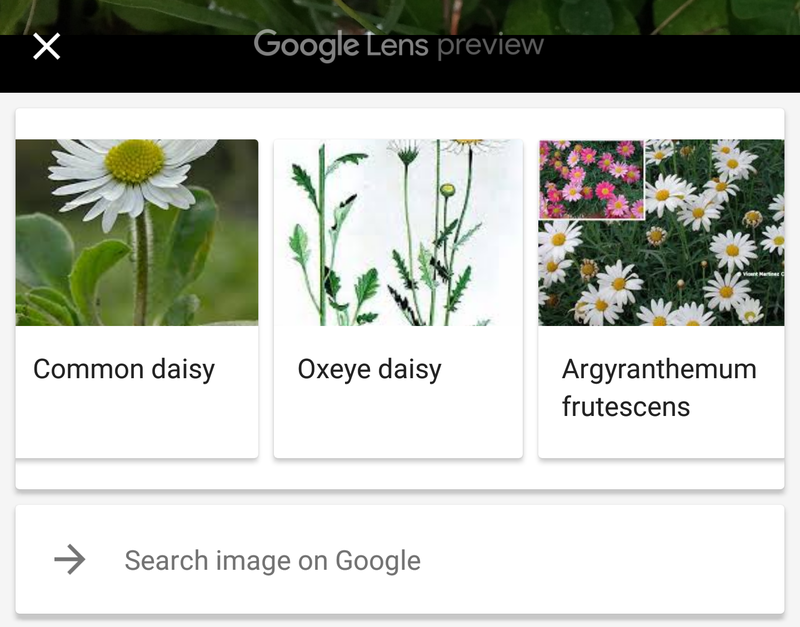 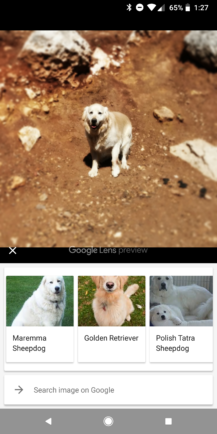 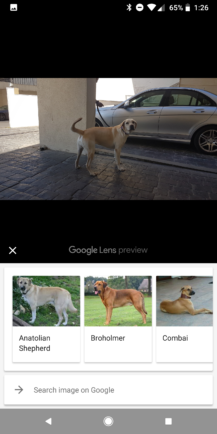 Maybe one day Google will enable Lens in the web version of Photos too. 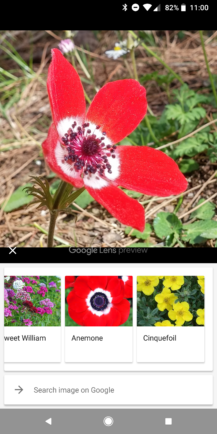 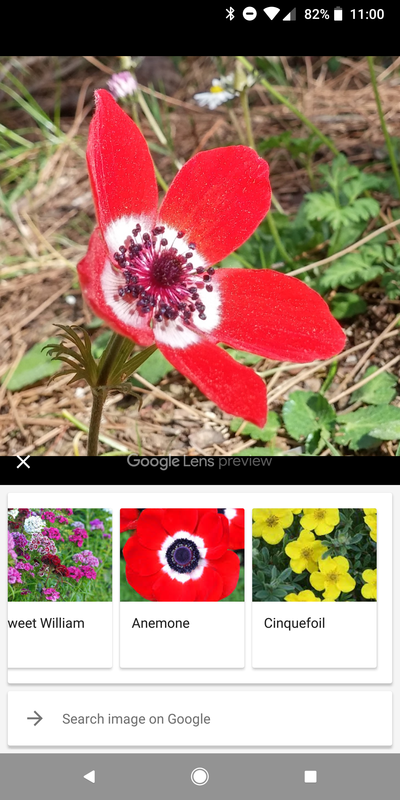 Right now the suggestions vary between spot-on (see the cherry blossom), close enough, and sometimes complete nonsense like that yellow cinquefoil for a very red and white anemone.